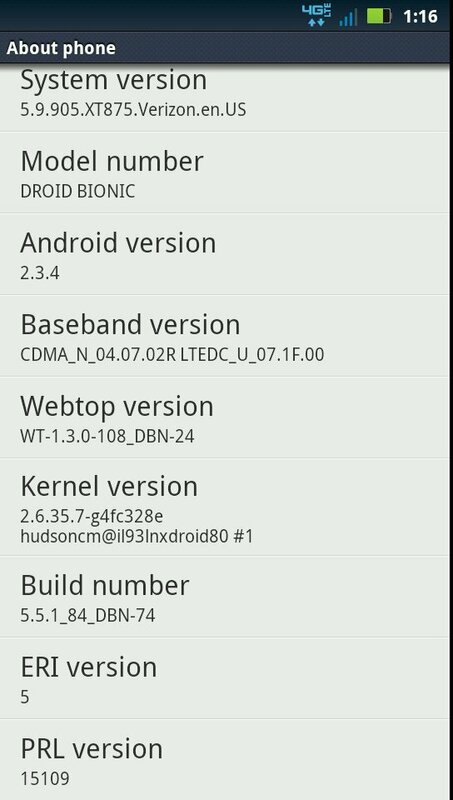 Build 5.9.905 has leaked via “Cheesecake” for the DROID Bionic for those looking to stay current with test builds. It’s definitely not Ice Cream Sandwich, keeping the Bionic as the only major Motorola phone of the last 6 or 7 months to have not seen an official Android 4.0 build leak. There is a chance that this .905 is final though, as soak test invites went out to owners of the device a few weeks ago. The previous leak was .904, so the minor jump in build makes it feel like they discovered a minor bug and made a fix. We are hearing that you can fastboot back to .902 after flashing this. In order to flash it though, you will need to be on stock .902.